Retirement is a fact of life. We’ll all face it; but unlike humans, horses can’t tell us when it’s time to throw in the towel. 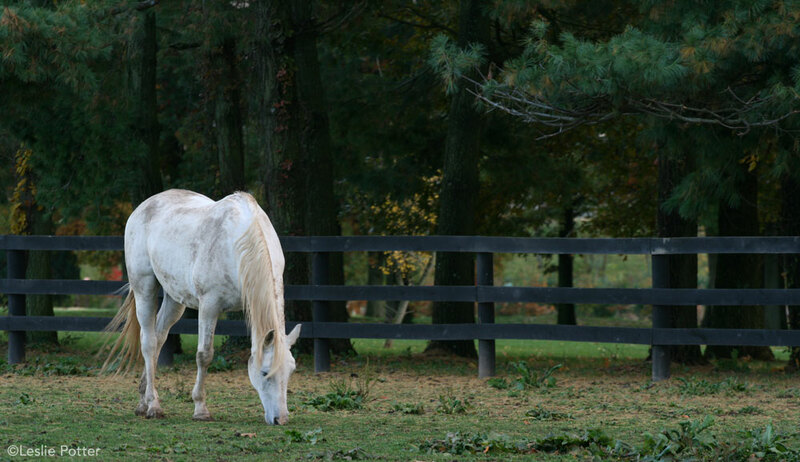 So how do you know when it’s time for your equine partner to slow down? 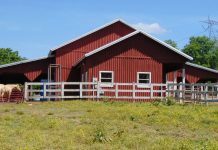 Karen Hayes, DVM, author of Help Your Horse Live a Good Long Life and Hands On Senior Horse Care has some tips. Like people, horses age at different rates. Hayes says she’s known 12-year-olds who are ready to retire, and 30-year-olds who are still gamely carrying “dudes” through the mountains. Bottom line: age should never be the deciding factor when considering retirement. Normal aging occurs one cell at a time. 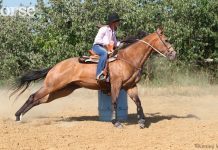 “It’s a gradual, gentle process that has surprisingly little accompanying discomfort because when it occurs little bits at a time, your horse can adapt to it and continue to do his job,” Dr. Hayes says. But if the aging starts accelerating, then you need to adjust his workload or it will contribute to that accelerated breakdown. Look for things such as loss of weight, loss of visual acuity, loss of athletic ability, recurrent impaction colic, dry or mucus-coated manure, swayback, dry coat, degenerative joint disease, heart arrhythmia and/or shortness of breath. When your horse exhibits these signs, it’s impossible for him to adapt to accelerated aging while carrying a full workload, and that sets him up for further acceleration of the aging process. Hayes says knowing your horse goes a long way toward determining when it’s time to slow down. 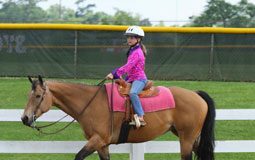 Since aging is basically damage and breakdown, if the horse’s activity is a contributor to this, then it’s time to slow down. If the horse can only perform and compete with medications, Hayes says, in her opinion, it becomes a moral question. Listen to your horse. He will give you subtle clues about whether he’s comfortable. You may see a hesitation in his response to a cue, or a failure to take a lead that wasn’t a problem, or a change in attitude. Previous articleWhat Does It Mean When Your Horse Is Dropping His Feed? I have just opened Meadowbrook Equine Retirement Facility in Horsefly, BC. I would love to provide your article as a link from my website. I like tip number three which proves that indeed the horse CAN tell us when it’s time. We only need to pay attention and know our horses!